Oh Essie, I do love you. 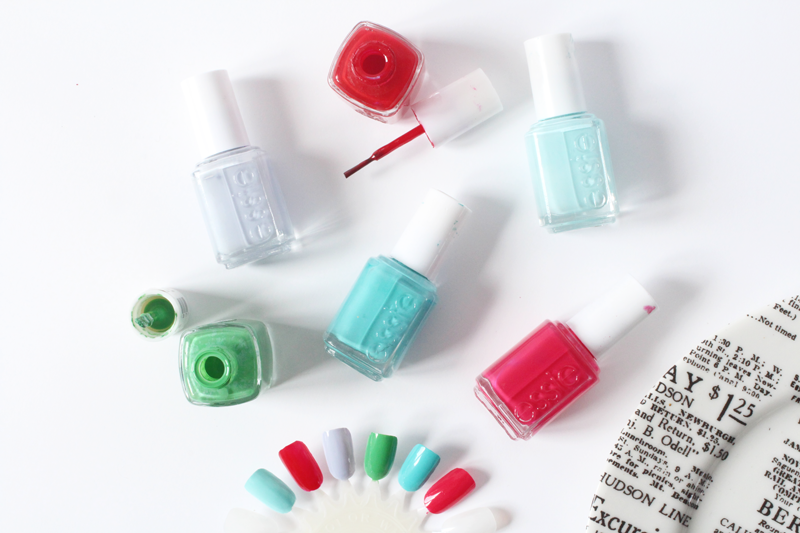 I think Essie might be my favourite nail polish brand just for the colour selection and packaging alone. They’re the one I always turn to when I don’t know what to wear and I have oh so many of their polishes in my arsenal now. So, I thought I’d share my favorites with you, as they’re all the perfect shades for summer. Starting with the cool tones and the one that’s on my nails at the moment, Essie In The Cab-ana is my current top pick. It’s a bright, creamy mid-toned bright blue and just reminds me of a pool. It’s the perfect shade when you want a (cliche) pop of colour on your nails but don’t want to go neon. I adore it. Next is the classic shade Essie Mint Candy Apple, which you always see across beauty blogs as a highly recommended shade. I think that’s why I bought it… Anyway, it’s more of a blue-mint than a green-mint but it’s just the most ideal pastel, as it’s not too sickly sweet (if you get me). It’s takes a few coats to be opaque, but is well worth it for it being such a pretty shade. The beautiful Essie Lilacism is next on my list as it’s my favourite light purple shade (next to Models Own Utopia). This takes two coats for a great colour pay off, which is more purple than pastel if you know what I mean. A great shade for S/S which will take you all the way into A/W. Green nails are a bit of a love or hate situation, but I personally adore them. Essie Mojito Madness is my favourite bright green shade, as it totally reminds me of a palm tree. You can’t get much more summery than that, right? It’s not super bright, but looks amazing on the nails! Finally, some warmer tones. My favourite red has to be Essie Aperitif, as it’s the msot perfect bold mid-toned red without being too bright or too dark. The consistency is ideal too, as it’s opaque in two coats. This is always one I reach for when I want a classic! Essie Watermelon is another blogger inspired purchase, as I don’t often go for pinks that aren’t really bright. This is such a pretty shade though and looks cute (yup, nail polish can be cute) on the nails. Perfect for those who like pink, but don’t want to be too in your face or pastel with it. 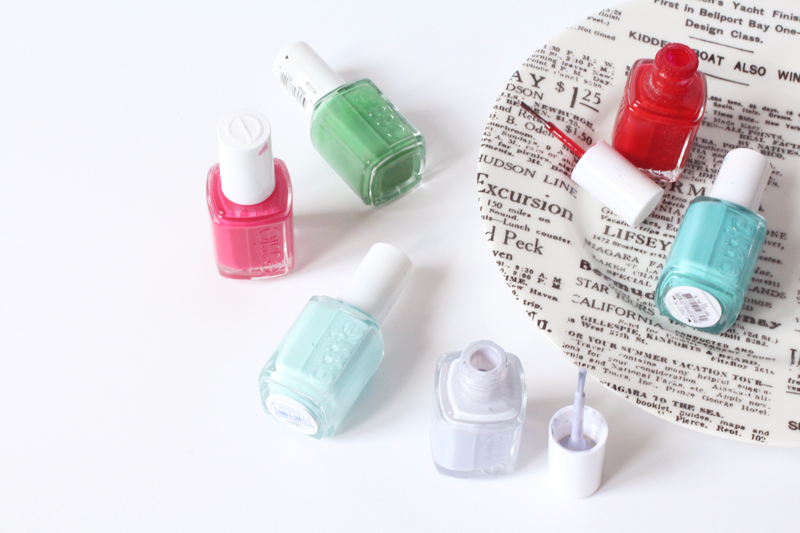 So they’re all of the Essie shades I adore for summer and are well worth picking up! The formula is great and they’re quite chip resistant too. I always post my nail pics on Instagram, if you want to see a lot of these shades on! What are your favourite shades? Oh and check out my Rayban and beauty goodie bag giveaway!